BLACKSBURG, VA. February 27, 2017 – The BioTherapeutics team recently characterized a new mechanism of action underlying the regulation of immunity and metabolism by nucleotide oligomerization domain like receptor X1 (NLRX1), an immunoregulatory molecule that had previously been connected to viral immune responses and broader anti-inflammatory effects. The new NLRX1 mechanism synchronizes immunity and metabolism. The findings were published in a recent paper in the Journal of Immunology. 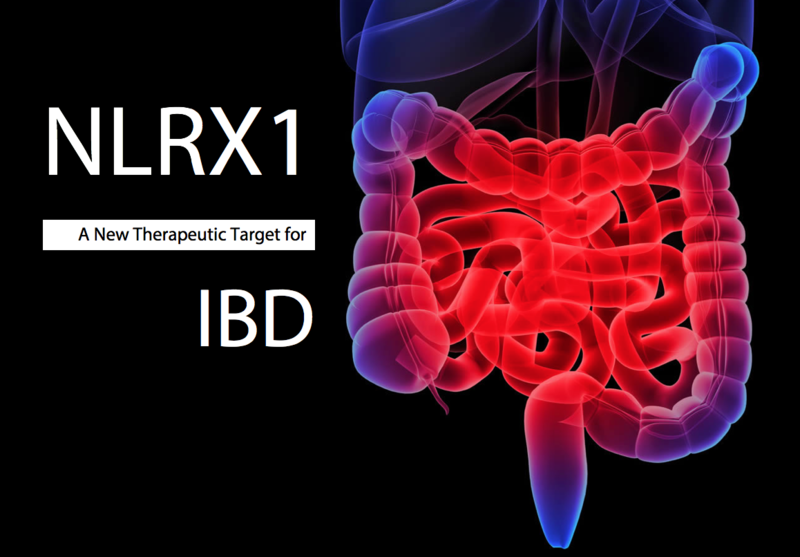 The loss of NLRX1 results in an increase in inflammatory T cells in mouse models of inflammatory bowel disease (IBD) coinciding with a shift in metabolic function. Specifically, NLRX1 deficiency diverts resources from the citric acid cycle and allocates them toward the production of lactate. Interestingly, when this shift is prevented, NLRX1-deficient T cells behave no differently than a wild type cell. Due to an incomplete understanding of the conditions surrounding NLRX1, the pursuit of targeting this molecule as a potential therapy had previously stalled. The results in the Journal of Immunology paper by the BioTherapeutics team shed new mechanistic insights on the role of NLRX1 in mucosal immunity and metabolism. The discovery of NLRX1 on the immunometabolic interface lends support that nutrition and cellular metabolism are intimately linked with immune function. As such, immunoregulatory molecules like NLRX1, PPARs, or lanthionine synthetase C-like 2 (LANCL2) are new therapeutic targets applicable to a spectrum of immune-mediated diseases. The need to produce energy is inherent to all cells within the body. However, as research delves into the field of immunometabolism, it has become clear that inflammatory, regulatory and memory cells have distinct patterns of metabolic preferences across not only T cells, but also macrophages and dendritic cells as well epithelial cells and their functional subsets. Whether fulfilling a need to proliferate, produce cytokines, or sustain a long lifespan, the targeting of cellular metabolism offers new therapeutic possibilities beyond traditional immunological targets in immune-mediated disease. BioTherapeutics has been at the forefront of developing nutritional-based therapies for immune-mediated disease, most prominently IBD. Additional exploration into immunometabolism may hold the reasons as to why dietary compounds and microbiota components can provide critical immunological feedback that ameliorates disease and pathology.